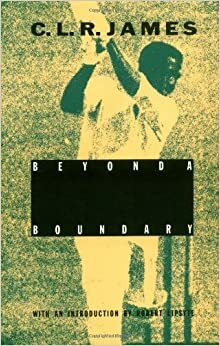 In C. L. R. James’s classic Beyond a Boundary, the sport is cricket and the scene is the colonial West Indies. Always eloquent and provocative, James–the “black Plato,” (as coined by the London Times)–shows us how, in the rituals of performance and conflict on the field, we are watching not just prowess but politics and psychology at play. Part memoir of a boyhood in a black colony (by one of the founding fathers of African nationalism), part passionate celebration of an unusual and unexpected game, Beyond a Boundary raises, in a warm and witty voice, serious questions about race, class, politics, and the facts of colonial oppression. Originally published in England in 1963 and in the United States twenty years later (Pantheon, 1983), this second American edition brings back into print this prophetic statement on race and sport in society. In 1932, C.L.R. James left his home in Trinidad for the first time and sailed to the United Kingdom to fulfill his literary ambitions. He was thirty-one years old. During his first weeks in London he wrote a series of vigorously opinionated essays for the Port of Spain Gazette, giving his impressions of the great city and its inhabitants, and describing his progress through the Bohemian circles of Bloomsbury. Letters from London collects these essays for the first time in seventy years, offering an essential record of a crucial period in James’s life. As the education and manners of his colonial upbringing are tested in the heady atmosphere of cosmopolitan London, we sense the emergence of the revolutionary thinker who was to become a major intellectual figure not just of the West Indies but of the world.